An industry first, Foreo’s UFO is an advanced device that uses a combination of thermo therapies and T-sonic pulsations to increase the benefits of active ingredients contained within its masks. 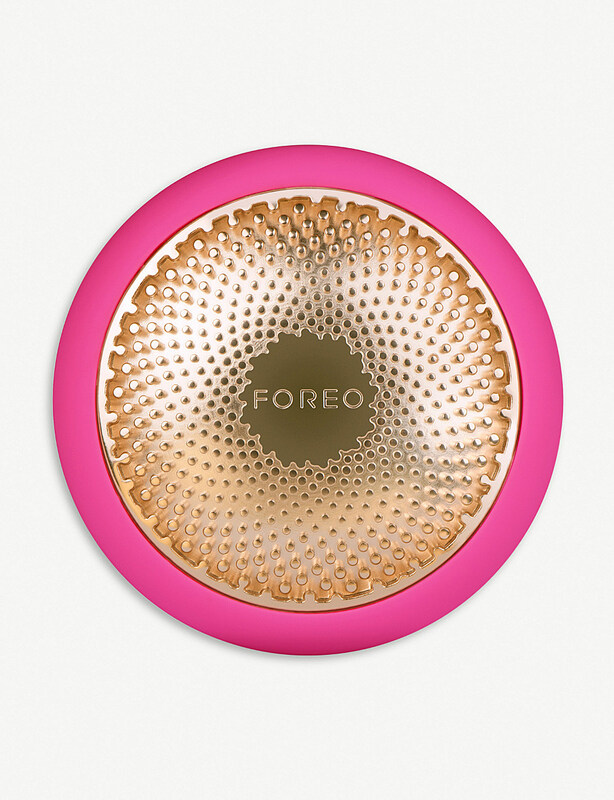 Delivering the results of a 20-minute treatment in just 90 seconds, it relies on a combination of red, green and blue LED light therapy to purify the pores, stimulate collagen production and brighten the complexion. A gentle heat relaxes, soothes and revitalizes mind and body. 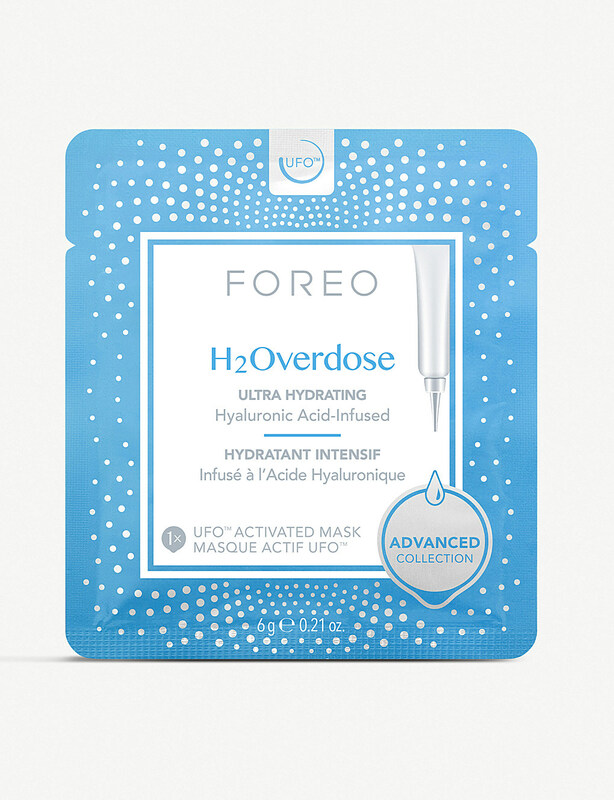 As UFO gradually warms in Thermo Therapy mode, it infuses active mask ingredients into skin, making them more effective in less time. Designed to be used with Foreo’s UFO masking device, the Call It A Night Mask nourishes skin while you sleep. Dreamt up in the skincare capital South Korea, this innovative little mask is enriched with ginseng – known to tone and rejuvenate – and softening olive oil – perfect for keeping your complexion supple. 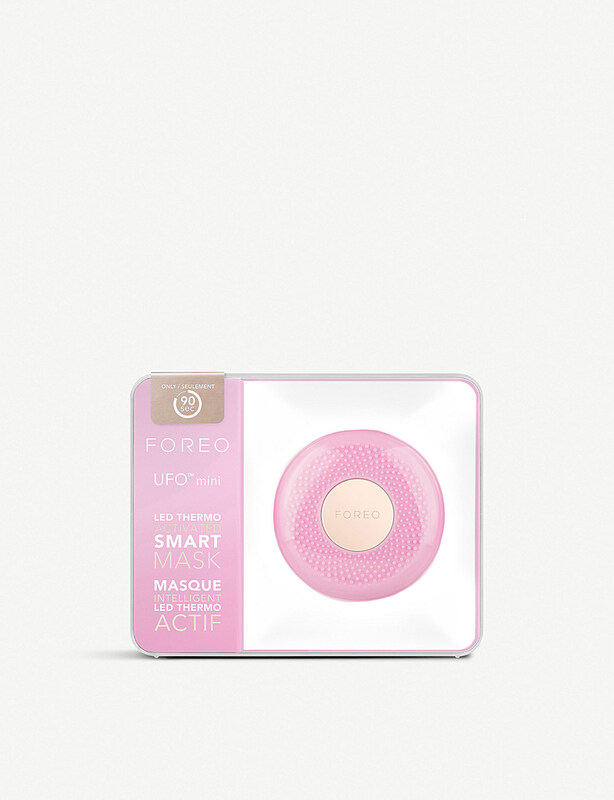 Taking just 90 seconds to get all the benefits, this product is the perfect way to end your day. 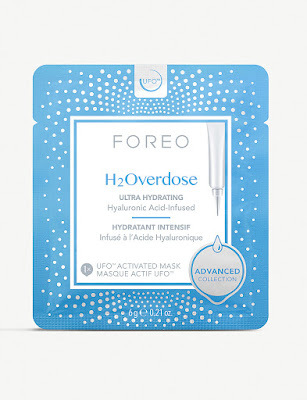 Designed to be used with Foreo ’s UFO masking device, the H2Overdose Mask drenches skin in moisture in just 90 seconds. 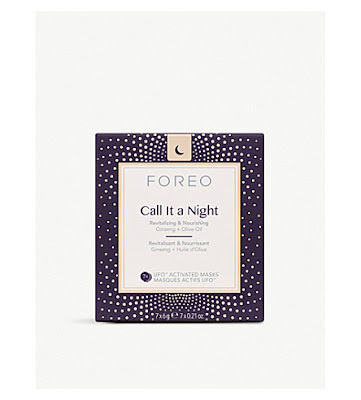 Dreamt up in the skincare capital South Korea, this innovative formula is infused with hyaluronic acid to deliver optimal hydration to dry, thirsty skin. 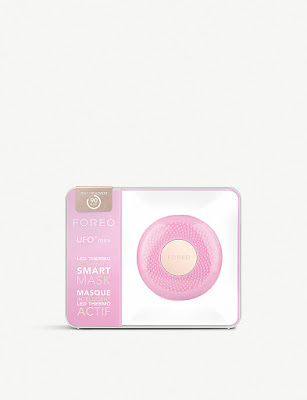 Meanwhile, Ceramide 3 replenishes and retains skin’s moisture for a healthy, plump complexion.